The City of Northfield held its first ‘construction coffee’ meeting this morning at 5th and Division downtown. LG co-host Ross Currier, with his NDDC construction hat on, blogged about this here and here. Tomorrow, Saturday, June 7th, is the First “Construction Coffee“. 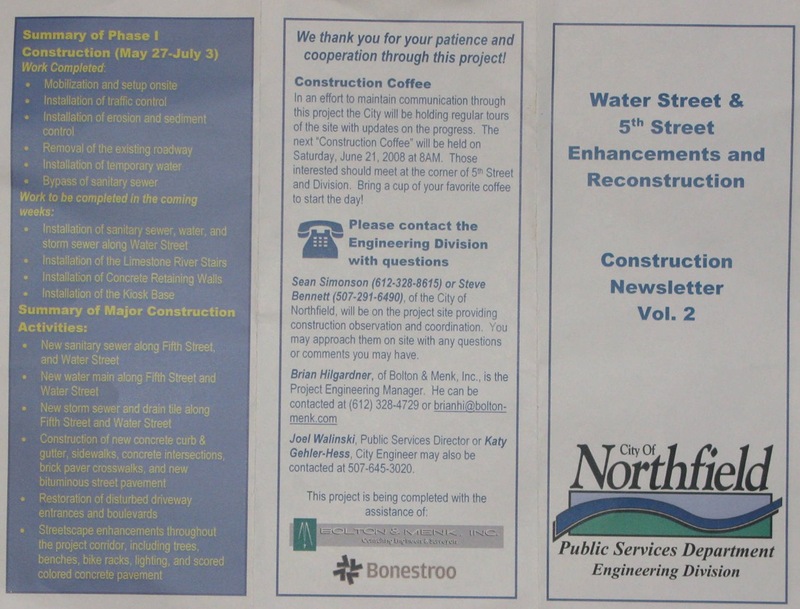 In an effort to keep the communication lines between downtown stakeholders and City of Northfield staff, the City will be holding regular tours of the Fifth and Water Streets Enhancements and Reconstruction Project. I took a (quite amateurish but hey, I’m learning) video of City Engineer Katy Gehler-Hess (apologies for botching your name, Katie!) explaining what’s been happening the past week, plus what’s up for next. Her boss, Public Services Director Joel Walinski, chimed in with some tidbits while Community Services Director Brian O’Connell lurked in the background, performing ably as our severe weather spotter. 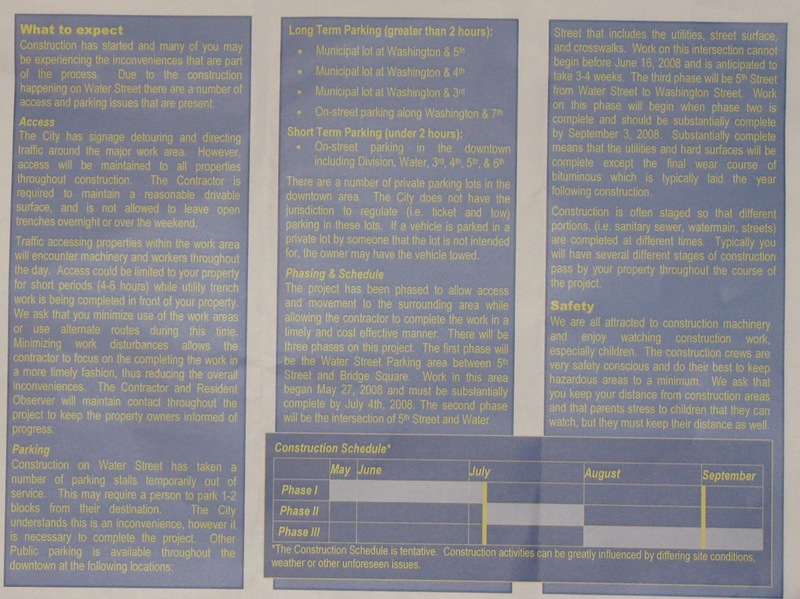 I couldn’t find PDFs of the map that Katy explains in the video, nor a PDF of the Construction Newsletter #2 flyer that they handed out. I took photos of the latter and added it above (center and right photos). If anyone can point to either of those PDF documents on the City’s or consultant’s web site, please attach a comment with the URL. Click play to watch. 6 min, 35 sec.